A full itinerary of Granada off the beaten path. How to find the best route to avoid touristic traps. Skip the queue and visit amazing places, finding the Granada hidden gems, enjoy the great landscapes and act like local. It is not easy to visit a place and be out of the common route. Plan in advance your tour off the beaten path of Granada and discover the withold secrets spots of Granada. Go up to the hills and see the best views on Granada. The Alhambra is the Symbol of Granada. It is the most iconic place to visit in Andalusia, but buy a ticket could be really difficult. Granada is an authentic gem in Andalusia. Ideal for your winter holiday and your summer relax. Not that far from ski slopes or from unbelievable dreaming beaches. All you need to Know about Granada is here! The mixmash of coultures, the Moorish and European, made this land just unreal. For us, this place is also one of the most instagrammable places in Granada, and one of the top photo spots in Granada. The city of Granada is one of the best places to visit in Andalusia. Is also one of the most mysterious places. With a romance and poetry inside the narrow streets and the amazing landscapes. Granada is that place where the European culture met the Muslim World, it is a bridge between two continents. This old Moorish place is not just a city in Spain, but it is one of the most suggestive in the South. In the middle of an amazing land, Andalusia. This place has nothing less than the other great cities of Andalusia, Sevilla, Malaga, Cordoba and Cadiz. Is really common to visit this city on a road trip around Andalusia, visiting great cities or small villages on the top of the hills. This is the place where the Sierra Nevada give a spectacular background, with snow even in late May. This city is the perfect day trip, doesn’t matter if is summer or winter. Start a tour of Granada off the beaten path, is the best way to understand this city. The city is on the foot of the Sierra Nevada, a huge mountain complex really crowded in winter. 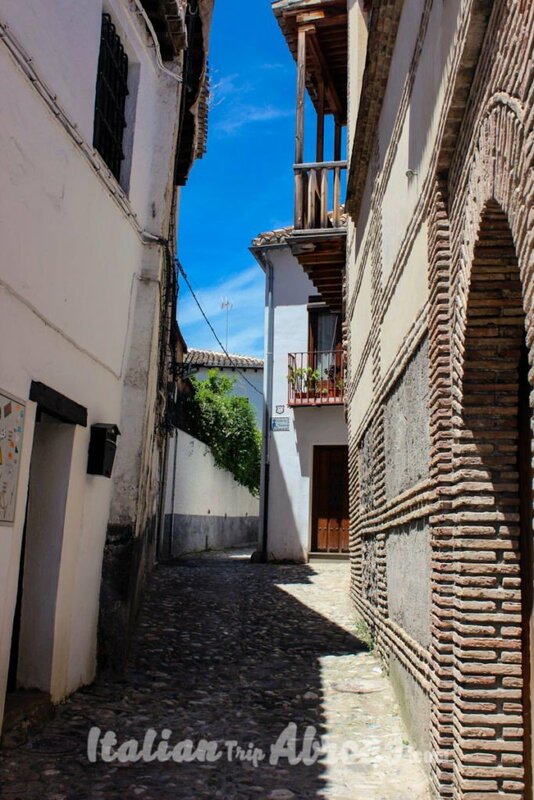 Granada is a city of secrets, really well preserved and hidden, that’s the main reason why we will take you in a Granada off the beaten path tour. 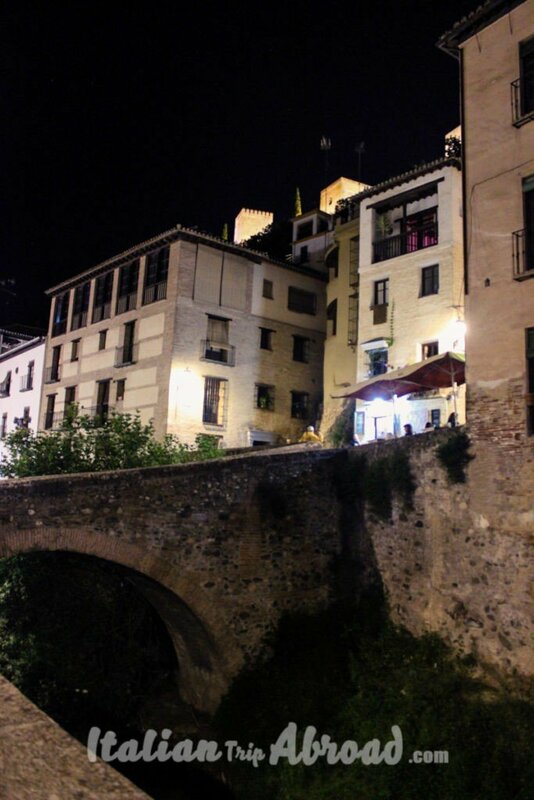 Carrera del Darro is not just a Granada hidden Gems, but it is also one of the most romantic places in Granada. The amazing Carrera del Darro is a street which starts on Plaza Nueva towards Albacin, one of the most traditional boroughs of Granada. 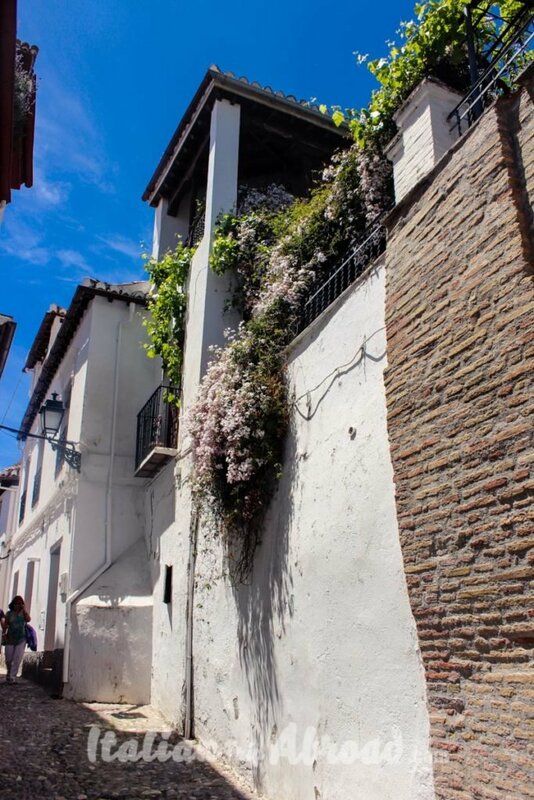 This is a long street which follows the river, we will assure this is one of the most romantic streets in Granada, it is completely walkable and close to the traffic, making this place also one of the most charming at night. The Carrera del Darro is the first Granada hidden gem in our list. 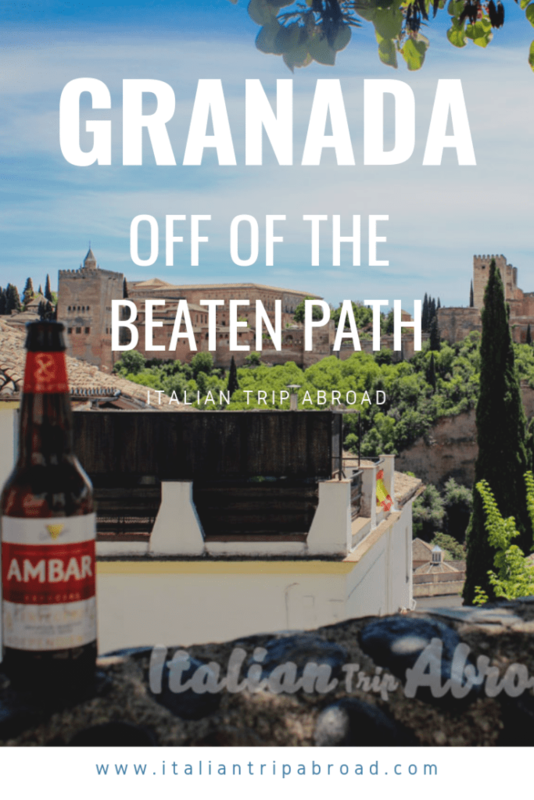 Are you ready to go forward with our Off the beaten path itinerary of Granada? The Darro, the river you are following is crossed by two amazing stones bridge. Enjoy the vibrant atmosphere of the area. it could be really crowded in the weekend, but we assure it is really worth to be visited. Pop into one of the dozen shops along the streets, here you can clearly see the bridge between the European and the Arabic culture. If you cross the first bridge, on the side there are a couple of Bars, where you can seat, drink a glass of tinto de verano, the amazing and famous Spanish wine and tapas. Check for the best food tips in Granada. To be a proper tour about Granada off the beaten path we don’t want to advice you to take the classic Sangria. It is a common touristic thing. To be a real Spanish, you have to order a local tinto de verano, ask for “una copa de vino tinto”. To act like a local, acting like a Spanish and leave away the touristy things, you have to follow the Spanish way since you are ordering. Across the river, you will find a lot of bars and café. Choose the ones that you like, you can even find lovely terraces, ideal in Summer when the temperature could go over 40°. We will advise, this is out of the book of non touristy things to do in Granada. Be in a café with a terrace on the Darro is a classic tourist hotspot. These are surrounded by bars and cafes with lovely terraces, but they are tourist hotspots. This is the best advice we can give to you. 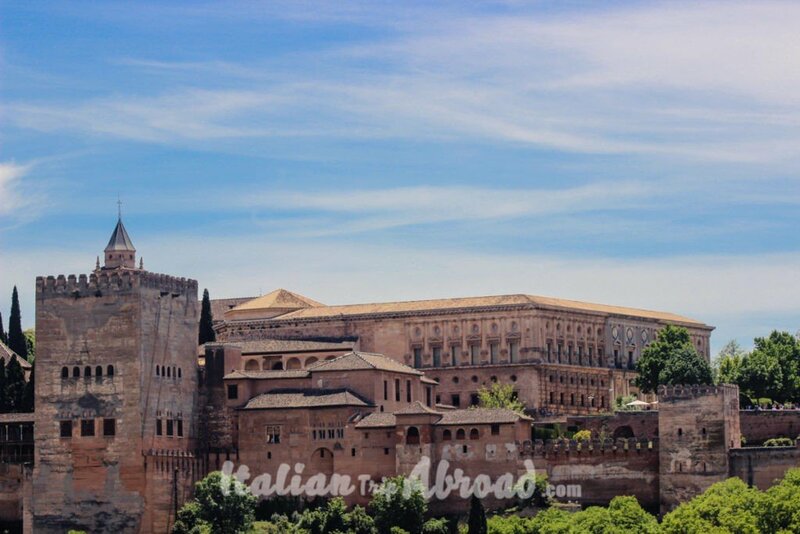 How to find hidden Gems in Granada just getting lost in one of the most iconic spots in the city of the Alhambra. From the Albaicín, a hill on the top of the city, you can admire the amazing landscapes. The view is directly on the Alhambra with on the background the Sierra Nevada. A spectacular landscape to take amazing pictures. The city of the Sierra Nevada is a safe city, so don’t be silly and get lost in the narrow streets. If you hike the Albacin, you will enjoy the view. This place is on the top list of the top things to do in Granada. Go around the small streets, made of cobblestones with terraces directly on the Alhambra and on the Sierra Nevada. If you feel to be more involved, there are a lot of photo experience guided tour for a reasonable price. Not everyone know that Granada is the homecity of one of the most famous Spanish poet in the World. Federico Garcia Lorca was born here, in Granada, and here now there is a park named to the famous poet. At the centre of the Federico Garcia Lorca Park there is the house of the poet, a building of the 20th century, where Lorca spend the summers until the 1936. Give a chance and visit this place, where are some of the manuscripts of the writer. The Area around the city centre, just behind the city Cathedral is the Bazar of the city. Here you can admire the coexistence between two completely different Worlds. 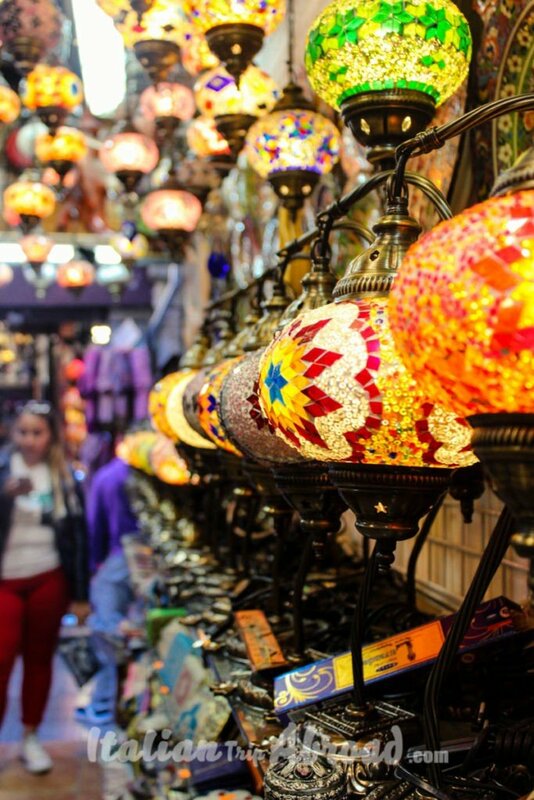 Give a relaxing afternoon strolling around the shop stands, like in an oriental bazaar. It is a colour party, with smells far away from the common European way and more close to the Oriental style. We have been here, and we were kidnapped by the colours and the atmosphere. Be careful in the area, often there are pickpocketers in action, ready to take your value away. 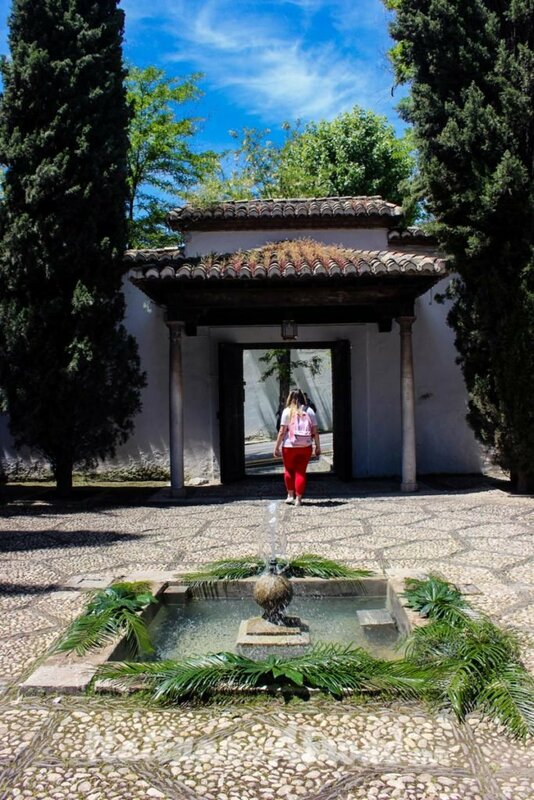 Few tips on how to Relax in Granada. We discovered this Spa complex for a pure coincidence. While we were strolling on the opposite side of the Carrera del Darro, getting lost through the narrow street made of cobblestone and sand. The Hammam Spa is a traditional Arab bath, while here in Granada it takes a completely different meaning. The Hammam Spa is made in the rock just below the Alhambra, where is coming thermal fresh and pure water from the rocks. It is an oasis of pleasure and relaxes. It is open even at night, and the prices are not that high, just 30 euro for 90 minutes in heaven. 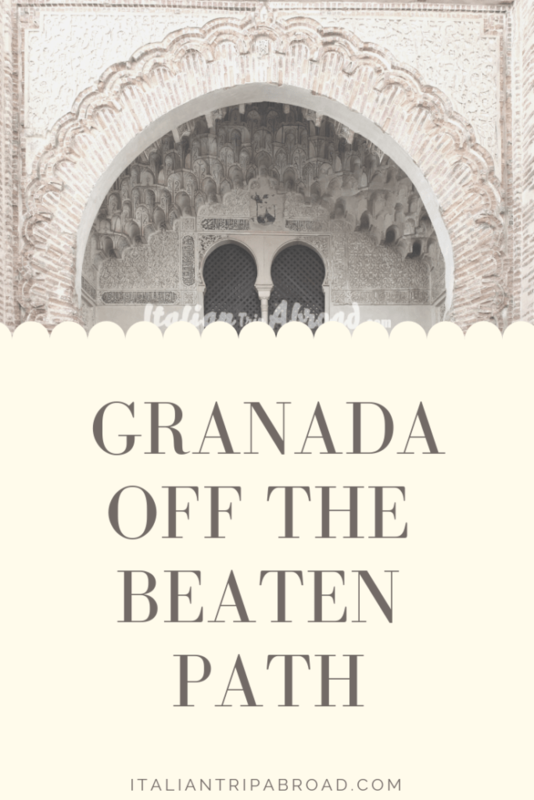 Pay a visit to the Arab bath is absolutely the top of the Granada top of the beaten path. On top of the Albaycín, there is “El Huerto de Carlos”. It is an awesome hidden gem of Granada, a real secret place known just by the locals. It is really hard to find this secret spot of Granada, and thanks to that it is out of the touristic guide, and so, is really difficult to find tourists in the area. The locals used to stay at El Huerto de Carlos in the afternoon and evening, play and listen to music, drinking a “cerveza” a beer. It is a little square with an awesome view of the Alhambra in the background, a small fountain and a playground make it the perfect place where relax and chill. The El Carmen de Los Mártires is another miradores, a point where enjoy the view and admire the landscapes. 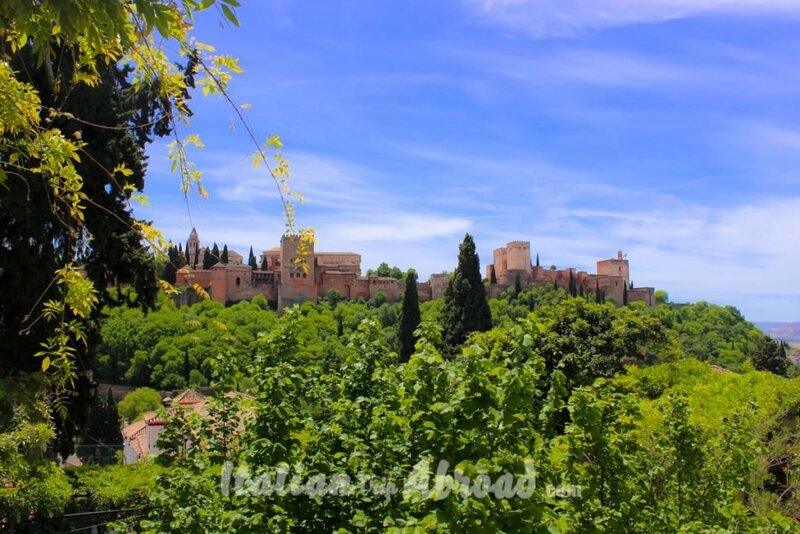 It is also one of the greenest places in Granada, really close to the Alhambra, that make it the best place to stay after the visit to the Moorish fortress. From here you can have an amazing view of the city, and on the Moorish architecture around. The area is free to enter, but during the traditional festivity, it could be close or partial opened. In the weekdays the park will be close in the afternoon. Granada is not just the Alhambra, it is the Symbol of this city it is true. But the old town is rich in culture and amazing landscapes. 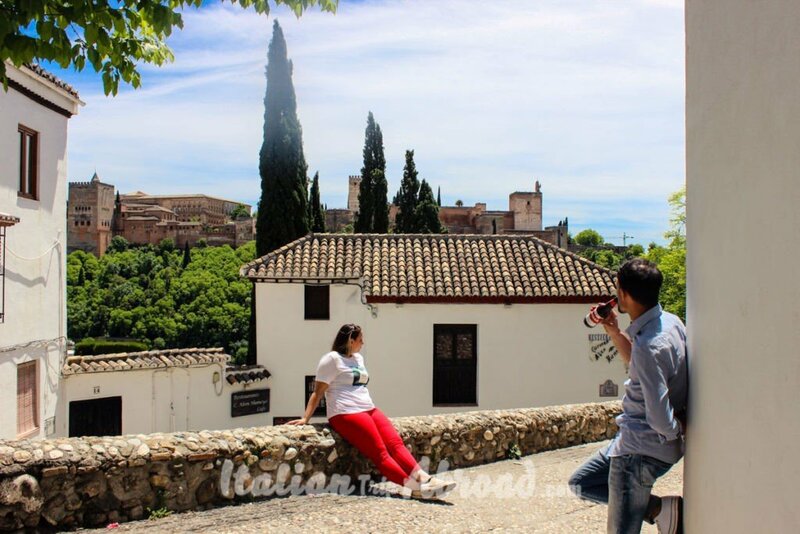 On the list of Top Photo Spots Granada, you have to put the Albacin and the Sacromonte. About the Albacin we have talked a lot up to this post, but it is not the only place where snap your next Instagram story from Granada. 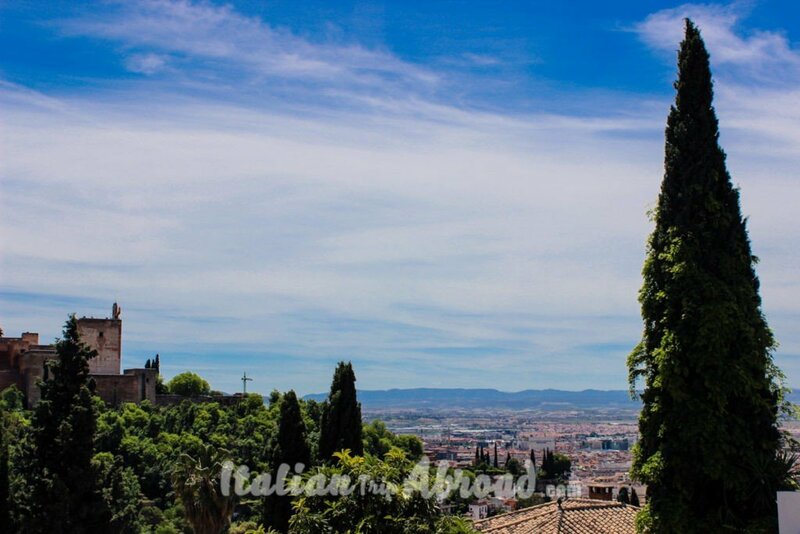 To enjoy some of the best views of Granada, the Alhambra and the landscapes of the Sierra Nevada, the best off the beaten path place is absolutely the Sacromonte. The hills above Sacromonte is one of the top photo spots in Granada, it is also really hard to hike, that make this place quiet sometimes, without crowd and ideal to shot some amazing landscapes. For that reason carry a tripod with you, especially at night, ready to shot with the long exposure. 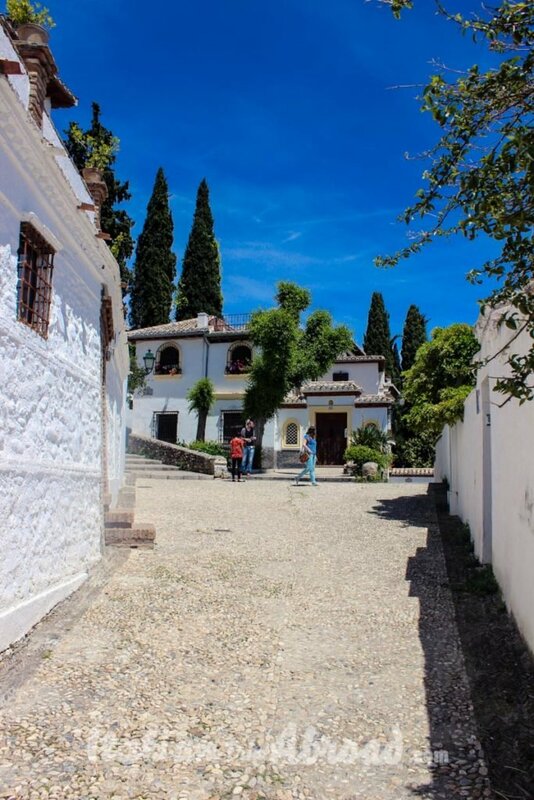 To access to the hill, you can go through the Caves Museum on the Camino de Sacromonte. On the other side of the hill, you can enjoy the landscape above the valley, with the great Spanish countryside. 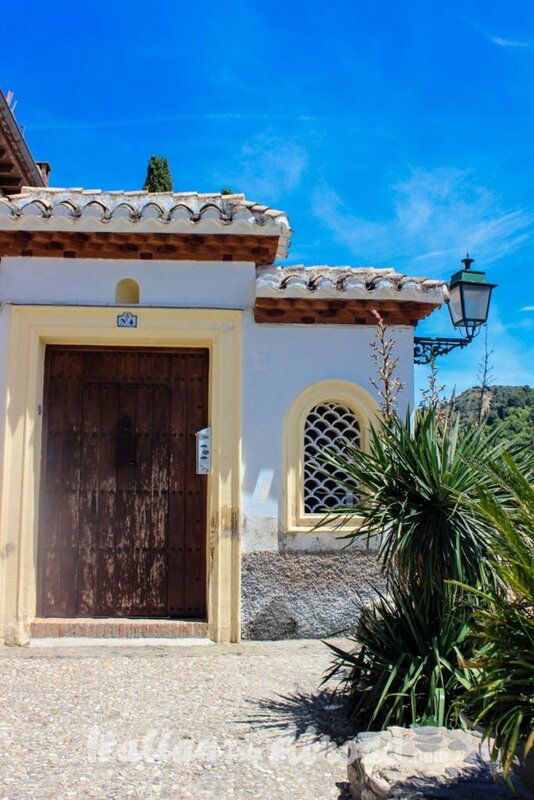 The Albaicín is one of the best areas where find an Airbnb in Granada. Staying here it is meaning to be in the centre of the historic Granada. 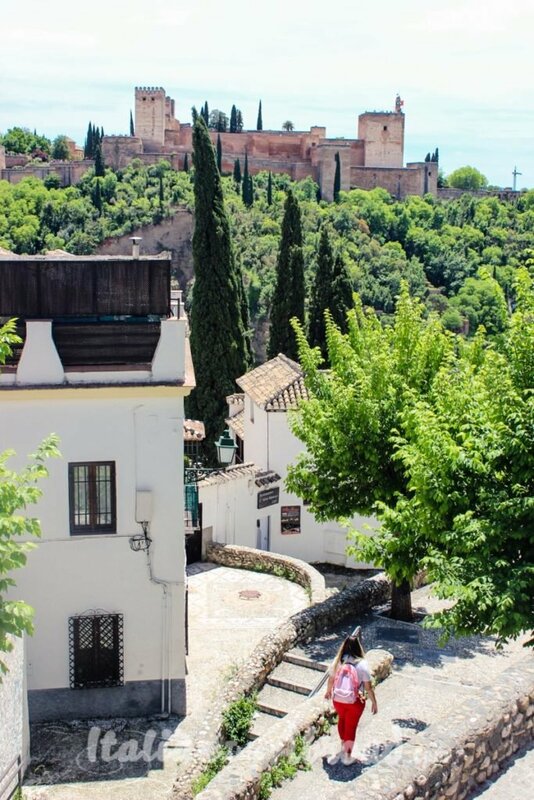 As we have said already before, the Albaicín is one of the most instagrammable spots in Granada, is one of the best places where shot your personal postcard of Granada, so why don’t try to find accommodation here. To stay on a budget in Granada is not difficult at all, the city has a lot to offer and the public transport is working really well. Also, the city is walkable, with the main shopping street completely traffic free. If you take an airbnb outside of the city centre, in 10 minutes walk you will be in the middle of the party. You will find other solutions than Airbnb, there are a lot of hostels and hotels for cheap. 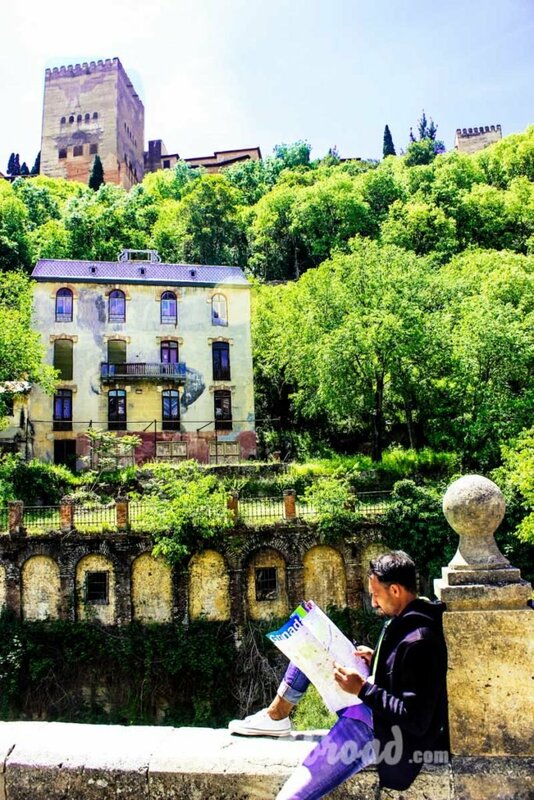 This is not a common place where find a tourist, it is perfect for our guide of Granada off the beaten path. The Banuelo is an ancient thermal Bath complex of the 11th century. It is one of the oldest and best-preserved Arab baths in Spain. The complex is on the Carrera del Darro below a small house. The establishment was saved from destruction by the Catholic Monarchs because, in the common Christian thinking, it was a commonplace where meet prostitute. In 1918, The Banuelo was declared a National Monument and was restored. It is in a complete Arab Style and while is old thousand it still fascinating the visitors. Visit one of the dozens of tapas bars in Granada could be not off of the beaten path, but taste what is meaning the Flamengo for Spain it could be the real attraction. As we have already suggested in our Seville itinerary, even in Granada we suggest booking your table. There is a lot of choices and you cannot miss it. Avoid the queue, the crowded places and take a proper Granada off the beaten path itinerary. There are not that many visits at night of the Alhambra in the year, but be ready to spot it when the chance is coming. Visiting the Alhambra at night, or the Gardens, you cannot use the flash. If you don’t have the chance to visit the World Heritage monument Symbol of Granada, we suggest you visit the Royal Alcazar of Seville, it is on the same path of Architecture of the Alhambra, but it is really easy to find the tickets.